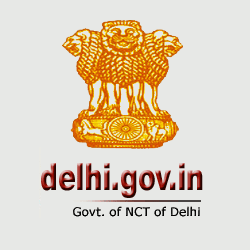 The Delhi Common Entrance Test popularly known as Delhi CET 2019 is directed by the Department of Training and Technical Education, Government of NCT of Delhi. The final result of CET Delhi Polytechnic 2019 will be announced on 21st June 2019. Taking more about the exam, this state level is conducted to offer enrollment seats to the admission seekers in the several polytechnic institutes or colleges at the premises of Delhi. Every year, thousands of applicants can enrol their grounds for CET Delhi exam and enable to pursue full-time diploma programs in the various disciplines like technology, engineering, pharmacy, etc and one-year certificate course in World Class Skill Centre. Through this entrance test, 85% of seats will be offered to the meritorious candidates of the state and the rest 15% of seats will be available for outsiders of the concerned state. Check absolute information related to the Delhi Polytechnic Exam Eligibility Criteria, Fee Structure, Important Events, Results, etc here. The Pusa Institute of Technology Delhi (PIT Delhi) has released the application forms for the state level CET Delhi exam 2019. The registration process has been started from 01st April 2019 and will continue till 30th April 2019. The exam for the same will schedule to be held on 8th and 9th June 2019. Apprentices can check their Delhi Polytechnic Exam Results 2019 on 21st June 2019 from the official website - https://cetdelhi.nic.in/. The official scorecard of CET Delhi 2019 exam will be updated on the certified website on 21st June 2019. Apprentices can check and download their results before the counselling session begins. Here we provide you with all the necessitate steps to download the results. Visit and open the official website of CET Delhi Polytechnic Exam. Enter your details like CET Roll Number, Application Number and a captcha security pin. Now, click on the ‘Proceed’ button to check the result. Finally, view and save your results. Apprentices can also download their results and use it for future purpose. The Delhi CET 2019 Results is concluded on the basis of marks and a position attained by the candidate in the merit list of the exam. Students are allowed to take admissions in the colleges affiliated with the prelims of AICTE, Delhi for admission. Read this article to understand the comprehensive structure of the marking scheme and a lot more information related to the exam. Candidates will score +4 marks for each correct answer and -1 will be deducted from their total scores for each incorrect/wrong answer. Participants who achieve higher marks in Mathematics in the Delhi CET entrance test will be considered. Next, marks in Physics and Chemistry will be used. Scores in English discipline will be used to decide merit rank. At last, students will be selected on the basis of the age; the older one will be selected for the seat. To get eligible for admission, candidates need to qualify and full-fill the cut-off scores governed by the Department of Training and Technical Education, Government of National Capital Territory of Delhi. For General category candidates- Students belonging to the general category need to secure 10% marks in the exam. For SC/ ST/ OBC & PWD category candidates- They need to achieve 5% marks from the overall commencing entrance exam. The official counselling session will be started from 22nd June 2019, day after the official results will be declared on the official website. Candidates who have scored well and achieve eligible rank in the exam will be able to participate in the counseling process going to conduct in Pusa Institute of Technology Delhi. Admissions will be strictly based on the merit ranking achieved by the students at the time of the entrance exam. The overall counselling process will consist of multiple steps including- Online Registration, Choice Submission, Seat Allotment, Pay Counselling fee, Document Verification, etc. Apprentices are advised to report at the allotted centre in the mentioned time and date printed on the provisional allotment letter.